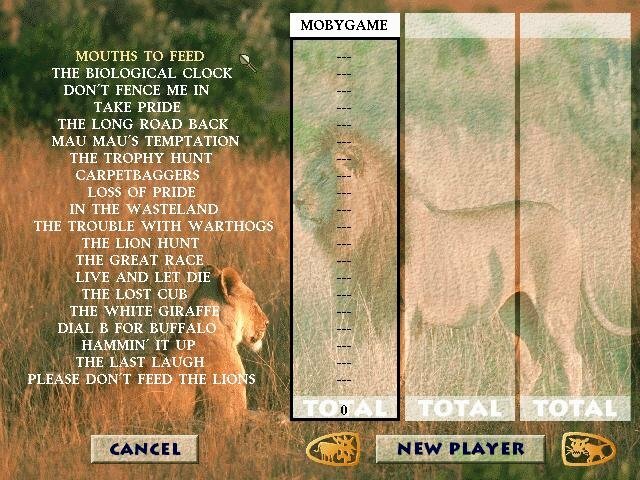 Developer: Manley & Associates, Inc.
As in the edutainment product Wolf, Lion offers you 20 different animals to choose from, in existing prides or handpicked groups you assemble yourself. 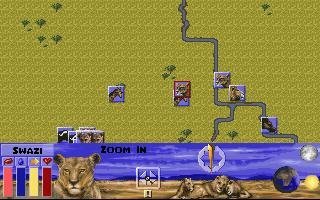 You may control a single nomad or all members within a pride. 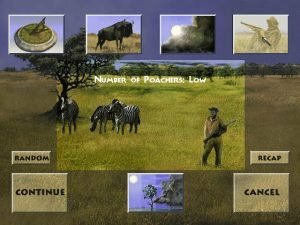 Each animal has its own distinct capabilities, weaknesses and success ratios with different prey species; one may excel at bringing down warthogs but fare poorly with zebras. 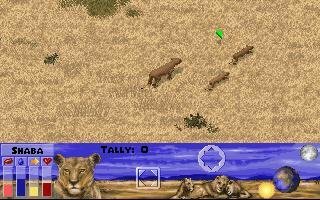 Unlike the three disparate game worlds in Wolf, Lion takes place in only one — the savanna grasslands and wooded plains of the Serengeti National Park in Tanzania, albeit with four distinct seasons. 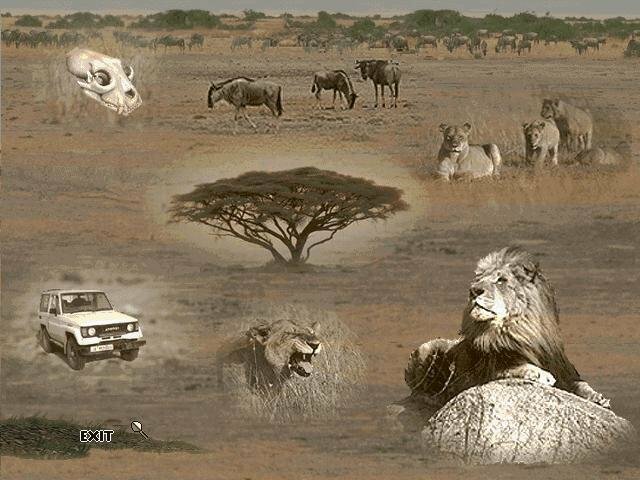 The Serengeti is home to seven other predators besides yourself (including hyenas, leopards, and, of course, man), and competition for the 70-odd prey species is fierce. 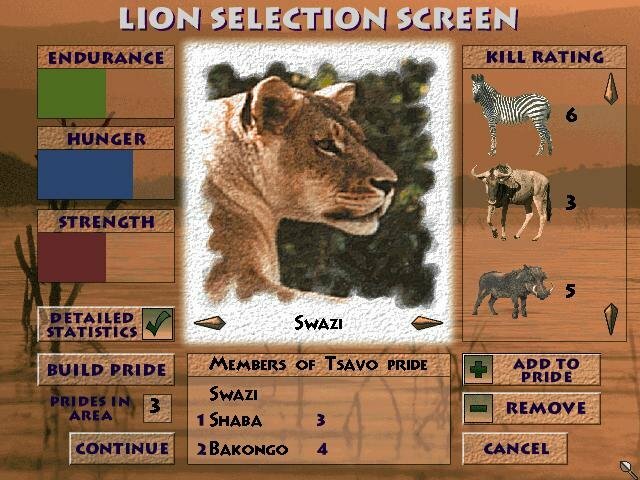 Lion offers play in two forms: a series of 20 increasingly difficult, mission-based scenarios, or a free-form simulation of day-to-day life on the Serengeti. 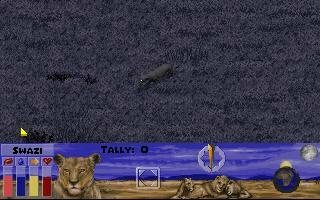 Although the game mechanics have been improved, much of the gameplay remains identical to that in Wolf. You walk, sleep, play (yes, even lions take a break), and every now and then you kill something and eat it. Of course, that’s not as easy as it sounds. Most of the animals you like to eat are faster than you, and even though a lion has a better chance of making a solo kill than a wolf, their stamina is far less than you’d imagine. 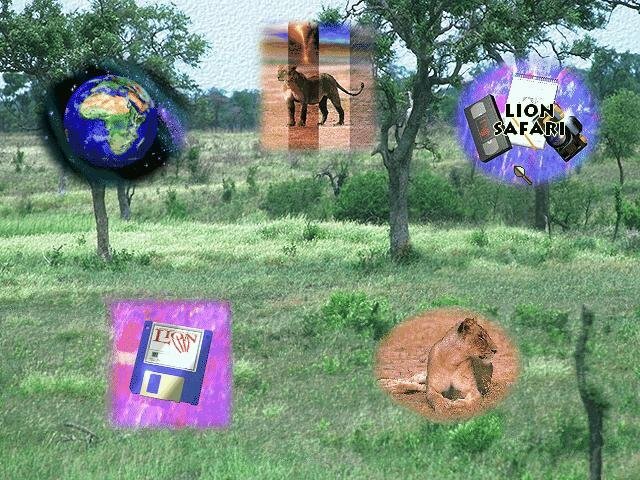 To complement the game section, there is The Lion Safari — an interactive guided tour of leonine life on the Serengeti. This tour presents a fascinating look at the life of these big cats; if you’re not careful, you may even learn a thing or two about being a better lion. With gameplay and scenarios similar to its predecessor, Lion isn’t quite the step beyond Wolf you might expect, but it does have its nice little touches that add to the realism of the whole experience. 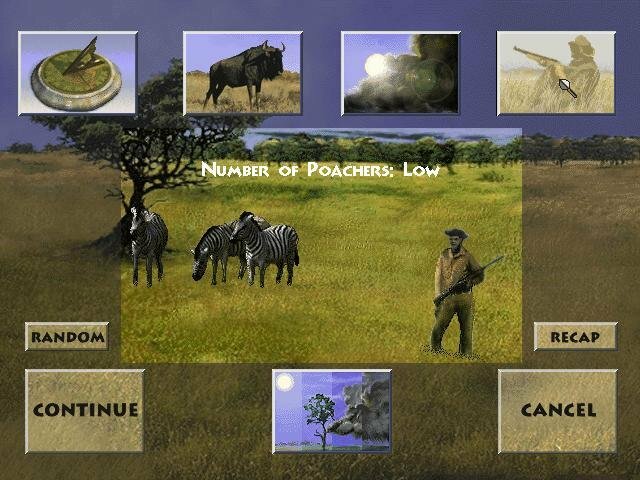 You can use the long grass to creep up on your prey; vultures circle overhead at the kill site; and your eyes glow a fierce amber in the darkness of the savanna night. 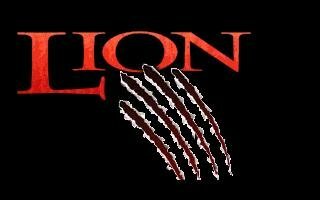 Like the blurb on the box says, Lion is a game of strategy, skill, instinct, and persistence. It’s also a thoughtful and intriguing look at the lives of animals most of us never get to see in their natural habitat. 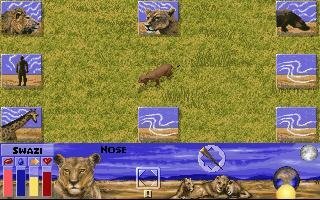 And, besides, it’s probably the only chance you’ll get to kill and eat a water buffalo with your family.